​A new week and new location, which offer the same high level of instruction and coaching leading up to the races for those who wish to take part. ​Morning we start with breaking down each element of skating and classic skiing to highlight the errors and then rebuild to gain a great level of technical skiing in a short period of time. The second half of the day is about skiing longer distances, with stops along the way to work on key elements of each group members skiing. The methods of instruction used by all Totally Nordic instructors and coaches is all about working on a more one to one bases, and focusing on key technical errors. ​We tend to split the week into two day blocks of skating and classic technical skiing, this way you have plenty of time to make the adjustments and work with Peter on which ever area of your skiing you feel needs a little more help. ​During the week we will once again be providing only the highest level of ski instruction and coaching from Peter Moysey. ​In Ramsau am Dachstein, the heart of the Nordic skiing sport, you will discover a 220 km cross-country skiing trail at between 1,100 m and 2,700 m above sea level. The trail caters to different difficulty levels so everyone is happy. Again and again, the international elite of the Nordic skiing sport scramble to get to Ramsau and use its perfect training conditions. There is a cross-country skiing stadium with a night trail, testing centre and children's cross-country skiing park... we offer it all. We recommend Salzburg as the best airport to fly to from the UK, other option is Innsbruck. ​Travel time from Salzburg is about 1.5 hours from Salzburg main train station to Schladming. ​Ramsau is able to offer a wide range of accommodation options to fit your budget and requirements. The village is spread over the length of the main valley and has good ski trail access to the main ski stadium area. 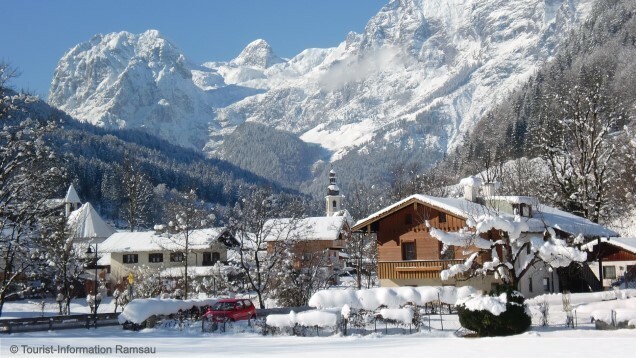 ​A full listing of accommodation options can be found at the Ramsau tourist office website.